Another clean sweep in the EBD Football League! Continuing the winning streak from last academic year, our Year 7 and 8 football superstars were once again a force to be reckoned with away at Liverpool today. First up was their match against Clifford Holroyde, which was an easy 3-0 win with goals from Heath (2) and Griffiths (1). Their second match against Meadow Park saw the opposing team put one past them, but with goals from Heath (4) they retained their position. 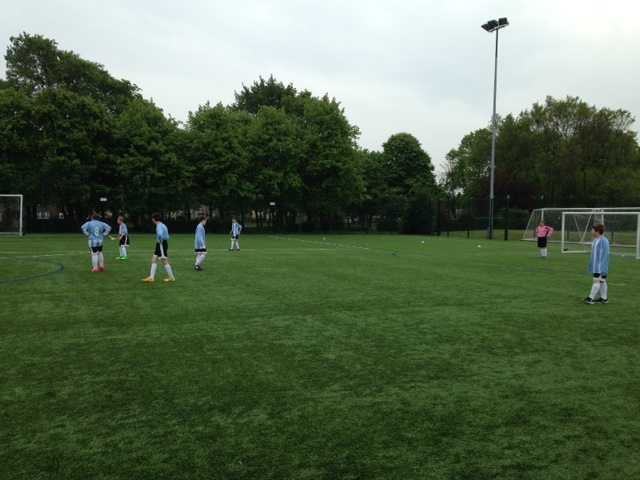 Third match was a massive 6-0 victory over Woolton High, with goals again from Heath (5) and Griffiths (1). Finally to end their streak the boys took a 3-1 win over Newfield, with all three goals scored by Heath. Brilliant work again by our younger Secondary boys – keep up the great work and another trophy may be winging its way back to school!